How much tea is there in China anyway? 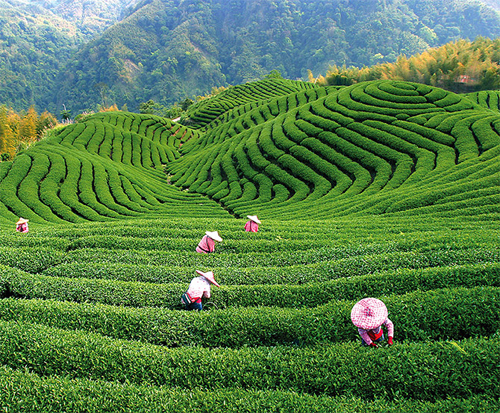 According to the most current figure I could find, in 2010 China produced 1,450,000 tons of tea, which was worth 20 billion in U.S. dollars. But what about stockpiles of tea or inventory extant from other years? And what about the current stats? 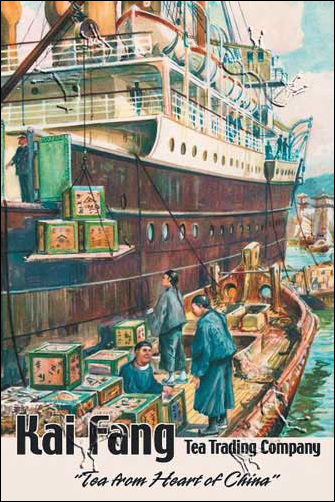 Poster of tea being shipped from China. According to the very fine website The Phrase Finder, the expression “all the tea in China” is first found in Australian publications from the late 19th/early 20th century and seems to have arisen from the common observation that China was the world’s top producer of tea, and that brewed as a beverage, tea enjoyed a huge market and immense popularity throughout the world, especially within the British Empire. Raiders of the Lost Ark ending scene (1981). So it is easy to imagine that when your average Aussie in the past contemplated the idea of “all the tea in China,” he or she envisioned something like that closing scene in Raiders of the Lost Ark, when the camera pulls back to reveal the interior of a seemingly never-ending warehouse filled with an uncountable number of wooden chests. Now that’s a visualization of “all the tea in China” that most can share. Similarly, when classic rock crooner Van Morrison sings his ballad Tupelo Honey (1971) he helps us envision “all the tea in China,” which he would gladly sacrifice rather than lose the love of his life. 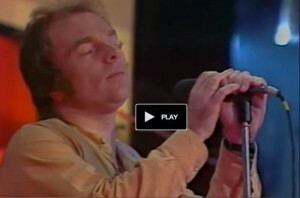 Van Morrison – Tupelo Honey – 6/18/1980 – Montreux Jazz Festival. This entry was posted on Monday, March 30th, 2015 at 3:03 pmand is filed under . You can follow any responses to this entry through the RSS 2.0 feed. You can leave a response, or trackback from your own site.